Notes: Vol. 24, No. 2 Most uncredited news items are not indexed here. 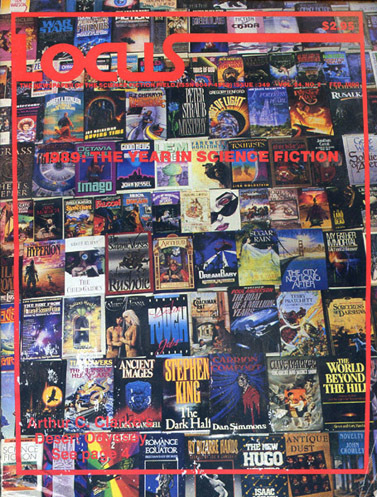 Includes the four-page brochure for the March 1990 releases from Tor which is bound between pages 20-21 and 52-53, and the six-page brochure for the February 1990 releases from DAW which is bound between pages 36 and 37. The four-page Locus Poll and Survey is bound between pages 36 and 37 (surrounding the DAW Books brochure.) The Books Received listing includes several mini-reviews (one or two line comments) by Charles N. Brown, Scott Winnett, and Faren C. Miller. None are indexed here.